Tom Dwan apparently didn’t part with Full Tilt Poker on terms quite as good as many people thought… Joe Hachem sparked some discussion and even outrage over his comments about WSOP Main Event champs… PokerStars are on the path towards yet another big-time record. Check out these stories in the latest Weekly Flop. While being vague, he continued to mention something about how Full Tilt doesn’t “have the hands” from the early part of the challenge. Dwan says that there’s more to come on his feelings about Full Tilt. So for now, all we can do is guess on what exactly has him so miffed. PokerStars have already broken multiple records when it comes to online tournaments. And they’re gunning for another record again, this time pursuing their own mark for the largest number of players in a tourney. Stars will hold a $1 buy-in tournament with a $300,000 guaranteed prize pool on February 23rd at 13:00 ET. The goal is to get 230,000 players to enter this event, which would break Stars’ old record of 225,000 players in a June 16th, 2013 tournament. To sweeten the deal, PokerStars are guaranteeing a $25,000 payout to the first-place finisher. The next 60,000 players will share in $275,000 worth of prize money. Even though the buy-in is just $1, Stars are also offering satellites for those who want to win their way into the big event. 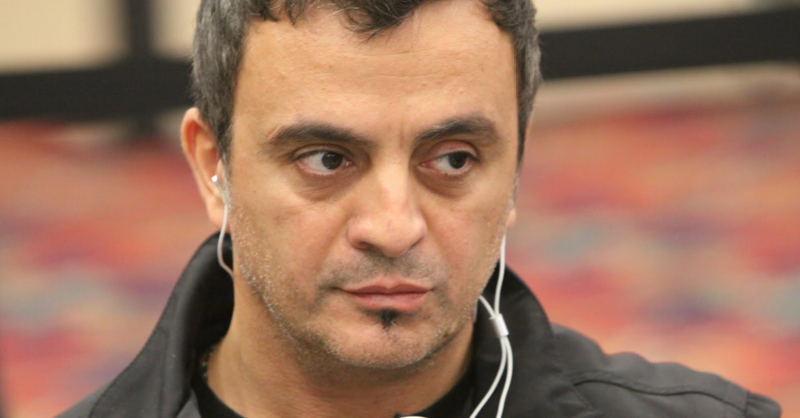 As many poker players know already, Joe Hachem gave a candid interview with Bluff where he called out Jamie Gold and Jerry Yang for disgracing the legacy of WSOP champions. He also implied that some of the younger champs like Ryan Riess and Greg Merson need to become more sociable and serve as ambassadors for the game. Yang also weighed in by saying that he wasn’t sure why Hachem called him out. The 2007 Main Event champ said that he gave $1 million of his ME payout to charity, before questioning what Hachem has done for charitable causes. Daniel Negreanu seemed to agree with a few of Hachem’s principles, such as how it’s good for the game if younger pros are more outgoing and personable. However, he added that the limelight isn’t for everybody and there’s no rule that Main Event champs have to be ambassadors for the game. With all of the discussion going on, maybe Hachem has at least got the ball rolling for the poker world to take a look at itself and do more to interest the casual observer.